Nothing is better than a slow cooker meal that the entire family loves. 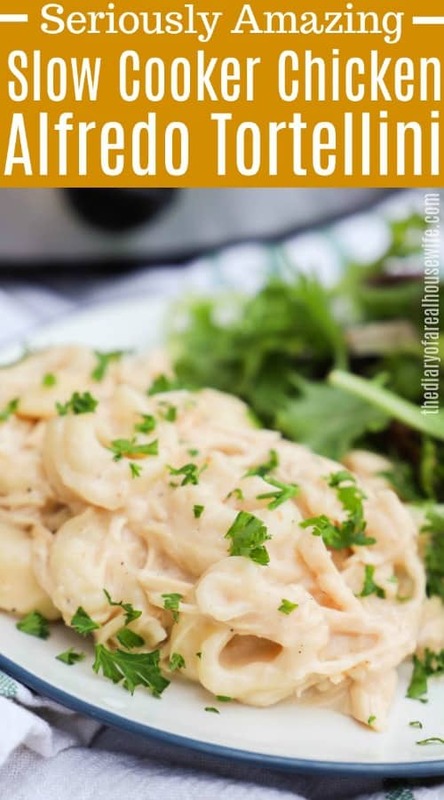 This Slow Cooker Chicken Alfredo Tortellini is so simple to make and taste amazing. Step one: Add your chicken to the slow cooker. I used two large boneless and skinless chicken breast. Step two: Mix together Alfredo sauce with garlic powder, salt, and pepper. Step three: Cook this on low until chicken is cooked through. Once your chicken is cooked and tender then shred it. Step four: Add broth and frozen tortellini to the slow cooker with the cooked and shredded chicken. Step five: Allow to cook for an additional 15 minutes or until tortellini is cooked. Add more broth as needed. Chicken Alfredo Stuffed Shells: This recipe is stuffed in shells, baked, and then topped with bacon! 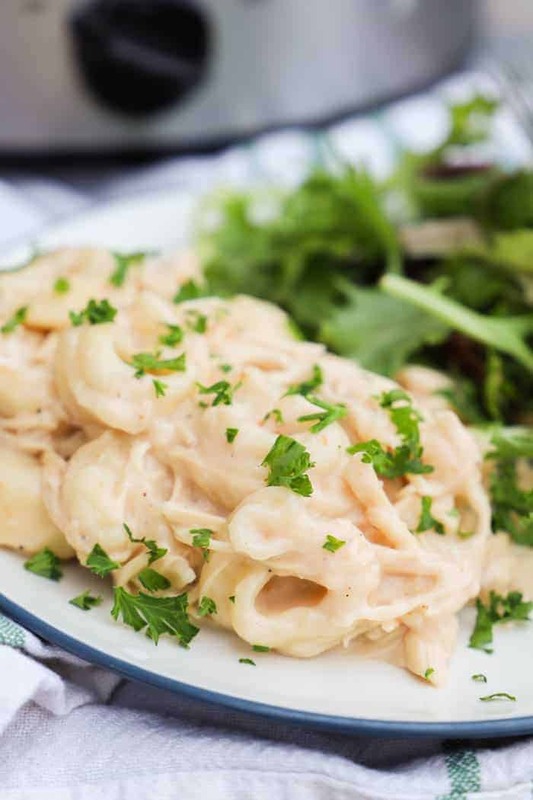 Chicken Alfredo Bake: If you want something new for pizza night this one is a must try! Add your chicken to the slow cooker. Mix together Alfredo sauce with garlic powder, salt and pepper. Cook on low for 4-5 hours or until chicken is cooked through. Shred chicken. 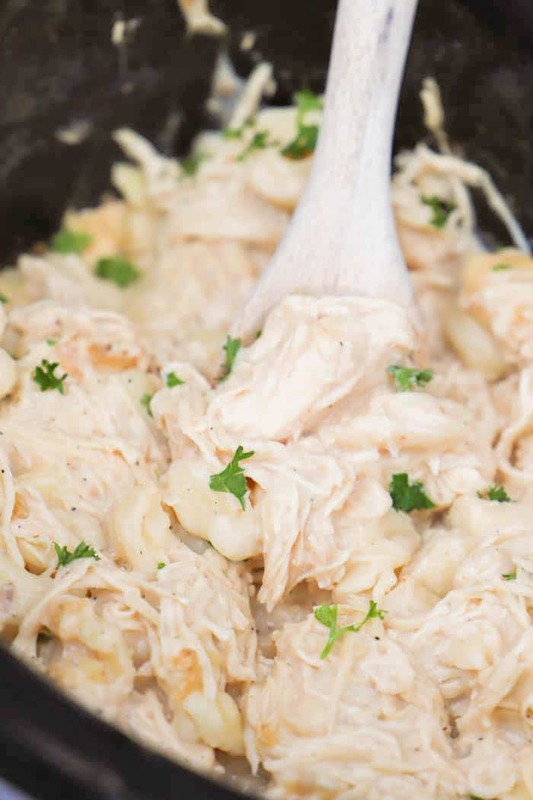 Add 1 cup of broth and frozen tortellini to the slow cooker with the cooked and shredded chicken. Allow to cook for an additional 15 minutes or until tortellini is cooked. Add more broth as needed.